If you are passionate about helping people look and feel their best by removing unwanted facial and body hair, then a career as an electrologist or laser hair removal specialist may be for you! And choosing one of the many schools available to you for this specialty is the first step in getting your education in hair removal services! 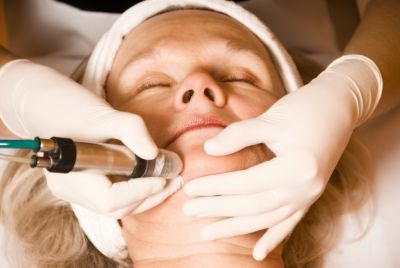 To become an electrologist or laser specialist is an , ambitious career path, and it calls for skilled individuals who are interested in a unique career in beauty that genuinely helps people achieve an aesthetic that allows them to feel confident and comfortable in their own skin. Find laser training or electrolysis schools near you to get started on your hair removal education right away. If you are thinking about starting a career in the this line of work, there are several paths available in a variety of related areas. Whether you want to help people permanently remove hair with electrolysis, or temporarily remove unwanted hair with laser hair remvoal, or other fields, we can help you find the right program to study. By using BeautySchool.com, you can connect with several schools in your area without the inconvenience and confusion of visiting multiple sites. We also offer great resources that students and professionals find useful throughout their careers. Once you find the schools in your area, request information from the programs that interest you. Make sure you choose one that fits your life and matches your goals. In laser training or electrology school, you will learn how to use the latest technology and esthetics/skin care best practices to safely remove unwanted body and facial hair for clients. Both laser hair removal and electrolysis are near medical procedures, so they require hands-on training and understanding of the technology. You will be trained at laser school or electrolysis school to consult with clientele about this sensitive issue, and provide a valuable technical service to help improve their self-image. The length of a laser training program or electrolysis program depends on your state's minimum training hour requirements, so make sure to look up your state's laser specialist or electrologist license requirements for specific states’ laser training or electrolysis school hour requirements. To ensure you are getting the education that matches your needs, request more information from the laser schools and electrolysis schools and ask them about their programs before enrolling. To find out more about what you will learn in either path of hair removal training, check out the laser training program guide or electrolysis training program guide. There are numerous electrologist careers or laser hair removal careers to choose from. As you pursue your education at one of the many reputable hair removal schools available, you may find that you are especially great at a particular set of skills. At this point you may decide to specialize in a niche industry for hair removal, such as working in dermatology or plastic surgery offices, salon and spa experiences, and more. Good hair removal professionals should be knowledgeable both hair removal options, which will best solve the client’s issue, and possible medical side effects. Electrologists and laser specialists usually find jobs in a near-medical setting, at salons or spas, or go into business for themselves as independent hair removal professionals. BeautySchool.com offers you the ability to search for electrology schools and laser hair removal schools in your area to find a quality hair removal institution that fits your needs. Upon completing your training program, you can obtain your state's license and begin your career in beauty.